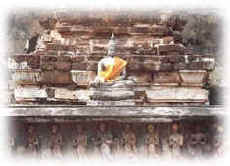 Click here for more information on Sukothai. Visit the historical site of Sukothai, famous for its carefully restored temple ruins and distinctive Buddha images. Si Satchanalai, built to emulate its sister city of Sukothai, with its own remarkable ancient ruins. 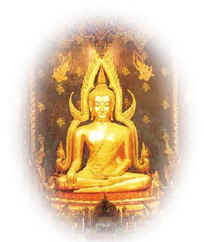 Phitsanuloke and the famous Phra Buddha Chinnarat, regarded as the most beautiful Buddha image in Thailand. 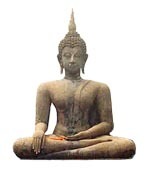 Also see two astounding cultural sites, the buddha foundry and the cultural museum. Day 1 On the first day make an early start, driving to the young elephant training centre on the route to Lampang. See the elephants going through their early morning routines and displaying some of their skills. Continue on to Lampang, where lunch is taken. Drive further on to Si Satchanalai, an ancient city built to emulate Sukothai, but with its own distinctly impressive temples. Continue on to Sukothai. Accommodation for the night is at one of the hotels in Sukothai. Day 2 The best time of day to see the old city of Sukothai is early in the morning. There is an option of driving or taking a bicycle to tour around the ancient ruins. After touring Sukothai, drive to Phitsanuloke to see the famous Phra Buddha Chinnarat, much revered not only by the people of Phitsanuloke but also the people of Thailand. Lunch is taken in Phitsanuloke. In the afternoon visit the Buddha making foundry and the Dr. Thawi Folklore Museum with its extensive collection of implements used in Thai households and on Thai farms in the past. Drive back to Chiang Mai or take a flight if schedules permit. 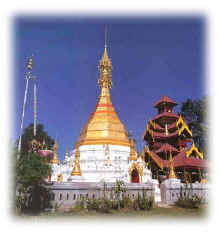 Click here for more information on Mae Hong Son. 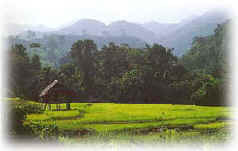 Mae Hong Son and the surrounding area captures the typical rural lifestyle of Northern Thailand. People of many ethnic lineages all making their living from the land and trading their produce. See not only the local Thai people but those of Shan origin and the many hilltribes of the area. A lush mountainous backdrop, that is some of the most photogenic landscape in Thailand. Day 1 Drive from Chiang Mai, the first stop being at a local morning market. Stop and take in the atmosphere and examine the local produce on sale. Continue on to a natural hotspring, . The onward route will show you some of the impressive scenery of the area. Lunch is taken in Pai, a small rural town. In the afternoon stop at two hilltribe villages; Lisu and Lahu. Learn about their culture and their way of life. 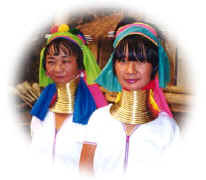 Further on, there is a visit to the famous "long neck Karen" tribe. The proper name for this tribe is the Padong. Their necks are lengthened because of their custom of adding brass rings around their neck which pushes their shoulders downwards. Accommodation for the night is at one of the resorts or hotels in and around Mae Hong Son. Day 2 On the second day visit the sights of interest in Mae Hong Son. The early morning market exhibits the typical bustling activity to be seen in most Thai agricultural towns. Most of the inhabitants of Mae Hong Son are Shan giving this market something of a unique atmosphere. The Shan influence is also evident in the temples of which you will see two: the lakeside temple of Wat Jong Kham and the hilltop Wat Doi Kong Mu. After lunch and a tour around the town of Mae Hong Son , drive back to Chiang Mai stopping along the way (flight is optional and extra cost and also depends on availability). Click here for more information on Chiang Rai and the Golden Triangle. The famous Golden Triangle encompasses the Northern tip of Thailand. Visit Chiang Rai, the ancient town of Chiang Saen and the bustling border town of Mae Sai. Also included is the Kuomintang settlers town of Mae Salong. A variety of hilltribe villages, as well as the mighty Mekong River and a glimpse of where the three countries of Thailand, Laos and Burma meet. Day 1 Drive north from Chiang Mai. The first stop is at a Black Lahu village. One of the many Lahu sub groups, this group wears a distinctive long black or blue jacket. After a look around the village carry on to the hot springs, followed by a Hmong village. 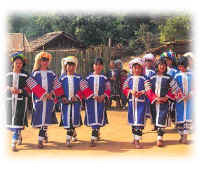 The Hmong are a hilltribe of Chinese origin. Lunch is taken in Chiang Rai. Afterwards, visit the ancient town of Chiang Saen on the banks of the Mekong River. 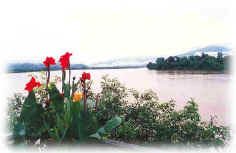 Follow the river to see where the three countries of Thailand, Laos and Burma meet. 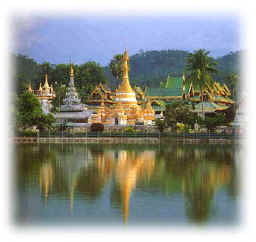 The border town of Mae Sai provides an insight into Burmese life and a chance to shop for some interesting souvenirs. Accommodation for the night is at one of the hotels or resorts in Chiang Rai or at the Golden Triangle. Day 2 Head off into the hills to see the Akha hilltribe. A tribe that wear distinctive decorated headdresses. Continue on into the hills to visit the Kuomintang settlement of Mae Salong. This settlement was founded by members of the Kuomintang army who fled the communist takeover in China. The town has a distinctly Chinese atmosphere as well as Chinese cuisine. Lunch is taken in Mae Salong. On the return journey to Chiang Mai, take the scenic route passing through Taton and stop for a break. Admire the enormous Buddha statue that watches over this sleepy riverside town. The last leg of the journey passes through Chiang Dao. Late evening arrive in Chiang Mai, where you will be transferred to your hotel.